All-in-One also known as multifunction printer combines Copy, Scan and Fax functions into one machine. This printer is an ideal choice for home business owners or small business offices because you not only can save more money to buy a different machine, but you can also save your workspace area. In recent years, trusted names like Hawlett Packard (HP), Epson, Brother or Canon have relesead their AIO printers, these printers have the same basic features, but some multifunction printers become very popular because they can do their job superbly well. While the others bring more additional features that can make this all-in-one printer more productive, very useful especially for small or home office owners. Conveniently print, copy, scan or fax documents and photos on your small home and office wirelessly using Canon MF8280Cw AIO laser printer. The device can works wirelessly and also great for home business. It’s built in WiFi to connect printer to your home network so you can quickly print from mobile devices. According to some users, the quality of output is excellent and supports various media types ranging from papers from photo paper, regular paper, and much more. It also has USB 2.0 port that can be used as standard connection to your computer. Navigation through 7-line color LCD display. With the Simple Solution Keys, users can quickly access almost all the functions (scan, copy or print) from its control panel. Canon PIXMA MX922 printer is one of the best wireless all-in-one printer in 2017 in Amazon and you can print photos from HD movies / clips that were recorded or captured using Canon digital cameras like EOS, Powershot or Vixia series. The scan resolution hits 2400 x 4800 dpi while copy function can duplicate photos and documents at it best quality. This Canon printer will bring your home office business to the next level. It support Fax feature too. The device comes equipped with Built-In Auto Duplex Printing feature where it allow you to print on both sides of the paper automatically, Apple Airprint, Cloud Print from Google, Mobile Device Printing. This printer can be used for home use and even for your business. The HP Envy 5530 all-in-one printer is ideal for any project and can be used for printing photos and any documents as well. This is one of the best wireless multifunction printer, it has been equipped with color touch-screen to select or customize menu and functions you want, built-in duplex HP ePrint app (print via mobile devices), Airprint [we also have wrote article about the best airprint printers review 2017], Wifi Direct and can connect to your wireless networks within seconds. You can plug in your memory card (slot included) and 1 USB 2.0 port to connect your PC, Mac or other devices. If you are looking for an All-in-one wireless color inkjet printer that can works fast so productivity of your home business or office can increase, then the Brother MFC-J870DW may be exactly what you’re looking for. In fast mode, It can prints up to 33ppm black/27ppm color while ISO stays at 12ppm black/10ppm color. It has compact design so you can save more space. Its paper tray can handle up to 100 sheets and compatible with mobile devices (iPhone, Android, iPad, etc). The device support duplex printing and USB print solution and it also easy to setup via wireless or wired networking, interactive menu navigation because it has 2.7 inch LCD display that can be operated using your finger. Brother cloud apps allow users scan documents to the cloud. Another popular multifuncion printer (print, cpoy and scan) that is available in the market, the Epson WorkForce WF-3620 that can also print your docs/images professionally. It’s easy to install even by a beginner and has very friendly user interface.. You can also find multiple connections, you can print anywhere to this printer using mobile devices wirelessly. Easy to navigate, thanks to its 2.7 inch touchscreen display. This printer is a good choice for those who has high-volume printing 19/10 and has large paper tray of up to 250-sheets. You can print from almost anywhere and anytime using your gadgets, iOS devices or other smartphones. Another great feature include 35-page Auto Document Feeder. It can produce documents in high quality, great for business and offers lower cost too. This AIO printer offer fast printing speeds at up to 19 ppm B/W and 14.5 ipm color and support wireless printing too so that print any documents or photos using smartphones, tablet or notebook will be much easier. Also includes 2.65 inch Color touchscreen feature where all printer functions (Access, Store, Etc) can be done with the tap of your finger, auto 2-side printing, and ADF. This printer will also be able to lower operation cost up to 50% than laser and you can produce profesional images and improve your business at work, home or while on the go. Yet another great multifunction printers from Hawlett Packard (HP), the Officejet 5740. According to some users, it has elegant design and support mobile printing feature too, thanks to its 2.65″ color touchscreen UI where users can read & operate this printer easily. In terms of connectivity, the device supports Ethernet, WiFi 802.11b/g/n connection. Print speed pp to 22/21 ppm for Black/Color. The Officejet 5740 can delivers high-quality output for 50% less than lasers, work efficiently to make your home office business more productive and easier. With the HP JetAdvantage Private Print, the machine can help your to protect all important information. If you are looking for an inexpensive all-in-one printer for your home small business, than you should consider this one, Epson XP-320. It has compact, taking up very little desk space and delivers great performance. For easy photo sharing, you can quickly scan to a popular social media site, Facebook and Cloud. Print from mobile devices (iOS, Android) using the Epson Email Print option. Setup is simple and fast since it comes with 1.44 inch color LCD. Easy and complete wireless solution and print almost anything on your phone screen meanwhile its 100-sheet paper capacity will make reload paper is reduced. This is a Laser All-in-One Printer where it has been packed with Airprint connectivity, Copier, Scanner and Fax feature. Canon MF216n is an ideal choice for office and business use because it can bring efficiency as well as increase productivity. For easy navigation, it comes with 6-line touch panel that can be customized according to your need. Print Speed up to 24 ppm and front loading cassete with a capacity of 250 sheet. Canon also packs this printer with “Canon Mobile Scanning for Business” that allow you to scan documents from this machine right to Apple iOS and Android devices. If you want to improve the efficiency as well as productivity into your small or home office, you should consider the MF216n. The Brother MFCL2740DW is a laser monochrome all-in-one printer, it has square design and with the SOHO user in mind. The display using touchscreen system, 2.7 inch and with keypad to navigate all the menus, change printer settings, etc. 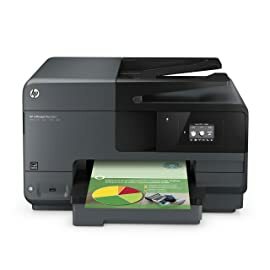 By using this printer, you can print and copy in high quality at 32 ppm and a resolution of up to 2400 x 600 dpi and print from mobile devices because it has supported by various connectivity options like AirPrint from Apple, Cloud Print by Google, Brother iPrint & Scan, Cortado Workplace, Wi-Fi Direct. Although the price is more expensive than printer above but you will be pleased by functionality and connectivity. Most All-in-One printers have been equipped with wireless connectivity. When a printer has built-in WiFi, print any documents can beeasier. You can print directly without cables from your laptop, tablets, smartphones or digital cameras. This feature is really helpful for those who want to print from multiple devices. Before buy a printer, think first,,, what you will be printing on a regular use. If you want to prints various photos or documents in color, then it’s very recommended to choose printer with high quality resolution, but if it only for black and white documents, it doesn’t matter if you choose printer with lower resolution. If you visit online store like Amazon, you can find a variety of All-in-One printer and you can also find the best photo printers 2017 or Inkjet and laser printers too, some of them has the ability to copy as well as scan documents, but Fax is not included. Make sure to choose machine with the functions you need. If you don’t need fax and will not use this feature in the future, it doesn’t needed to buy AIO printer with Fax feature. In case you want a printer with that has faxing capability, you should remember that it only works using a phone line. As technology continues to develop, several multifunction printers have been packed with touchscreen feature. With it, printer will be easier to operate and for fast navigation. The installation can be done quickly using touchscreen UI and some printer even allow you to view and edit photos before printing directly from printer.. Allow you to print documents on both sides, save more money on paper use. This ADF feature makes it much easier if you want to print multi-page documents. With a multifunction printer, many jobs can be done quickly and work seamlessly together. Some AIO printers comes with additional features to make owner of small business or even home user can take many advantages from this machine. Don’t forget to check your budgets before you decide to make a purchase. You also have to make some small research to find the best one for your need.